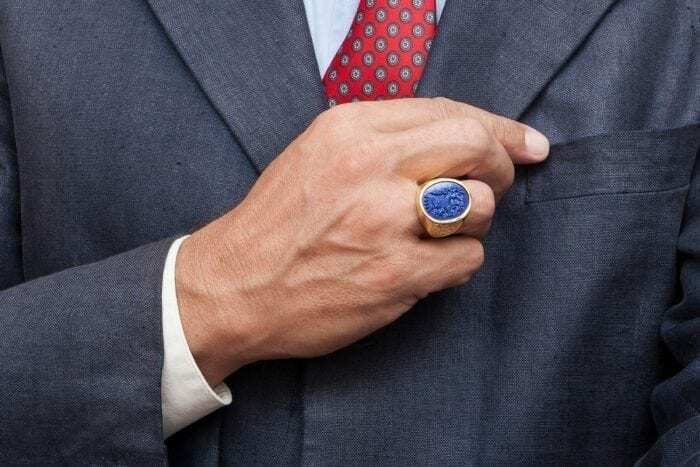 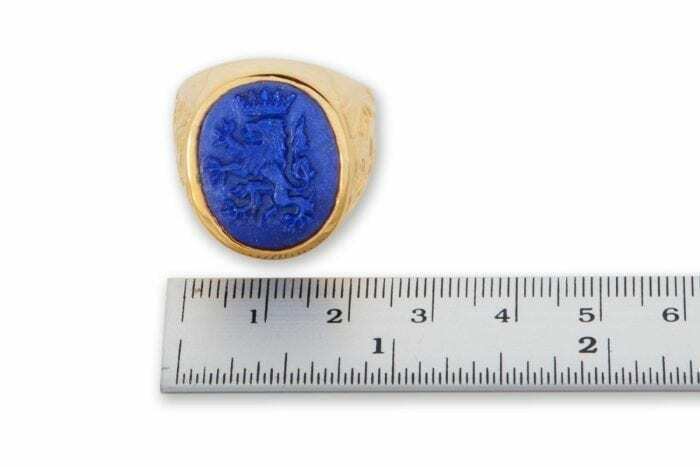 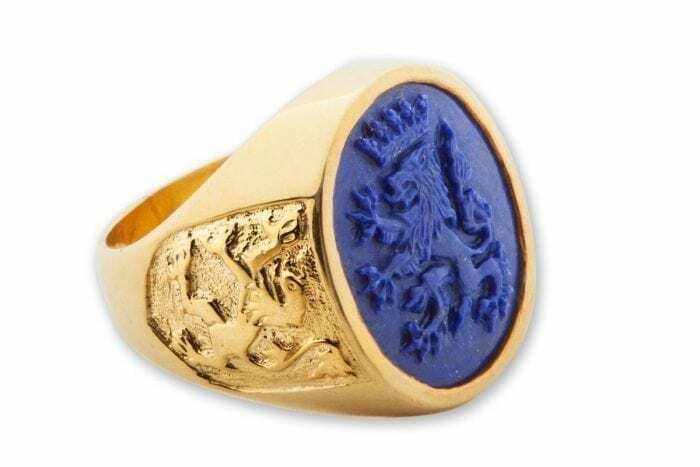 We hand carved a rampant crowned lion onto a fabulous oval of high quality Lapis lazuli to create this amazing strong heraldic lion ring. 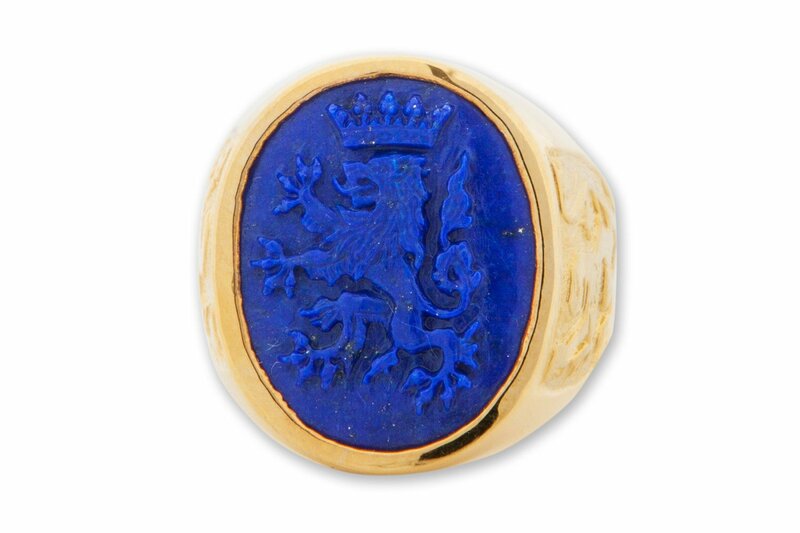 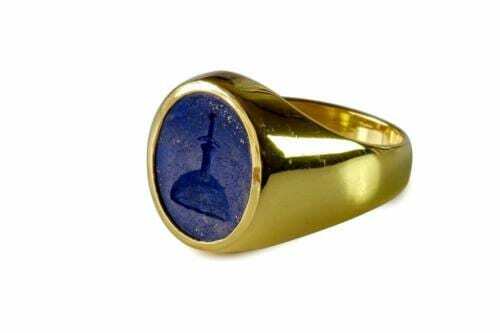 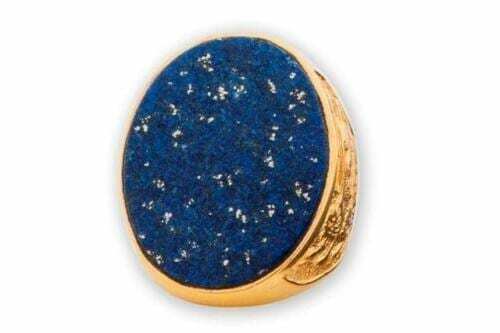 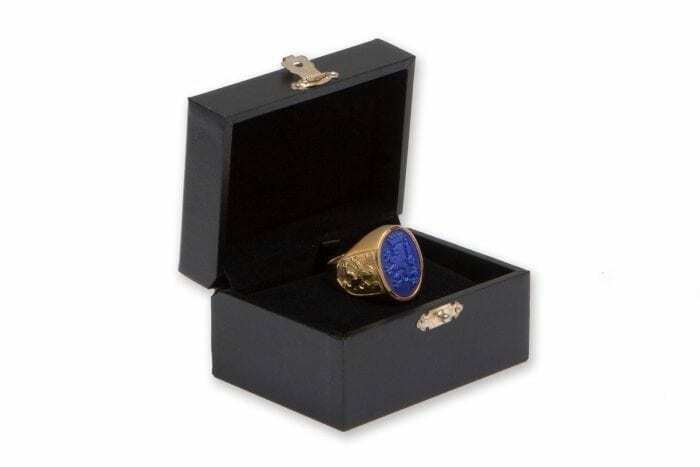 The oval is mounted to a gold plated (5 Microns 18K Gold) sterling silver. The heraldic nature of this ring is enhanced by the image of The Lion Of Scotland being embellished on the ring shoulders. 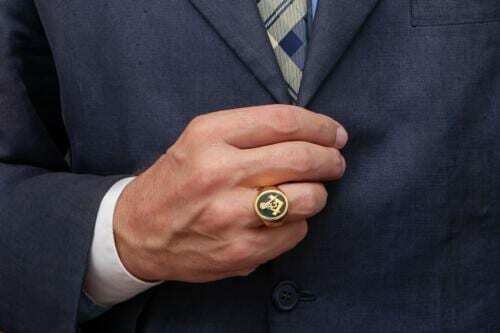 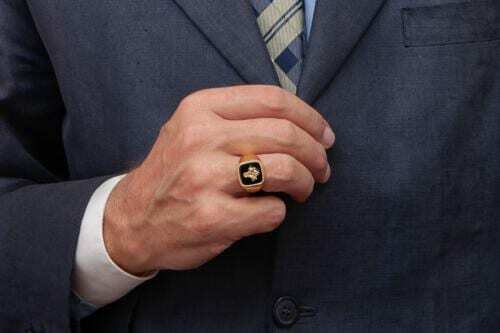 It really is a beautiful man’s ring.